RHYS BOWEN: I'm delighted to introduce to you today Ellie Alexander, a fairly new writer, and good friend my friend Hannah Dennison. 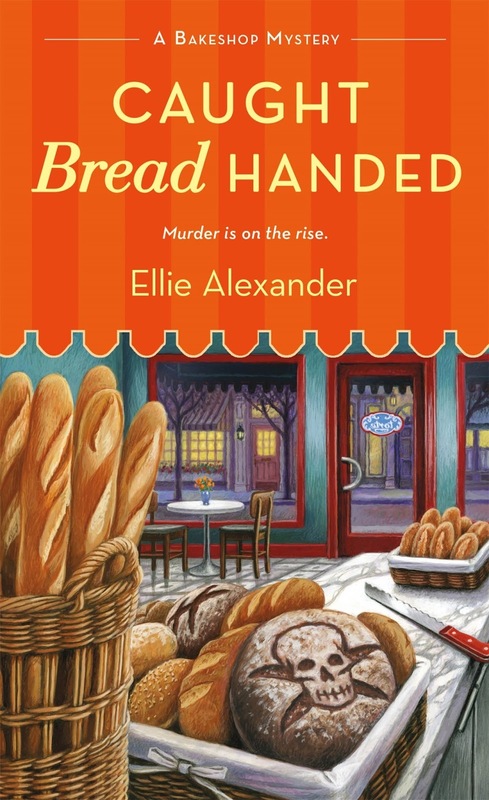 She's celebrating the release of her latest baker mystery, CAUGHT BREAD HANDED. And she's here to talk about our favorite subject: food. So welcome, Ellie. First, many thanks for having me on the blog today! Since debuting my Bakeshop Mystery series I’ve been surprised by how many baking questions I receive from readers. Don’t get me wrong, I LOVE getting email from readers—seriously, love, so keep them coming—but I never anticipated when I started writing the series that readers would reach out to ask for my input on swapping ingredients, baking temperatures, or how best to slice a loaf of sourdough. It makes me think that my books should come with a warning label. Maybe something like, “All recipes provided by home baker, bake at your own risk!” I was at a dinner party recently and the conversation turned to pastry. Someone at the table mentioned that I write a culinary mystery and everyone began to bombard me with questions about the secret to a perfect pie crust (a splash vodka) and whether to make your own puff pastry dough or buy it from the store (buy it—duh). It reminded me of the old spoof of, “I play a doctor on TV…” Am I highly qualified to give professional pastry advice just because I write about it? Perhaps not. Well, that’s not entirely true. Food has always been a love language for me. My earliest memories are of the dining room table at my childhood home.never fancy chocolate wacky cakes and gooey cinnamon rolls. 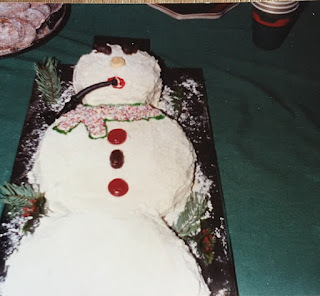 My dad, on the other hand, was more artistic in his approach to sweet creations. He would spend hours on a Sunday afternoon crafting a magnificent eight-layer chocolate torte with mocha buttercream and fresh apricot preserves. He would hand-pipe star a design on the top of his cake and adorn it with nuts and crystalized fruits. Food was his medium and he would blast jazz music as he experimented with new flavors and exotic spices. His cakes and pastries were works of art and could compete with any professional bakery. Plus, they tasted divine. I inherited pieces of my baking style from both of my parents. From my dad I learned to deviate from a recipe, to try unique pairings, and to blast my favorite tunes while working in the kitchen. From my mom I learned that a warm chocolate chip cookie or slice of homemade pie can be more than dessert, that food is a point of connection, and to always slather my cakes with as much frosting as possible. In my fictional bakeshop, Torte, my heroine Juliet is a professionally trained pastry chef who crafts elegant, regal, and delectable desserts. Like my dad, she believes that pastry is art. I love getting to write about food as an art form and imagine Juliet piping a delicate lace pattern on a five layer wedding cake. When I’m working on a book I spend hours watching baking shows and interviewing real pastry chefs. However writing about baking beautifully and actually baking beautifully are two different things. My baking style is closer to my mom’s. While my recipes may taste delicious they don’t usually look like something out of the pages of Pinterest, unless we’re talking about Pinterest fails—and trust me I have had some epic fails! There was one particular disaster involving figs that shall never be spoken of or tasted again. My cookies don’t always turn out uniform and sometimes my cakes tilt to one side or have unequal proportions of frosting. But that’s okay because the most important lesson that I learned from both of my parents was to infuse my food with love. As long as it tastes great and is served with love, who cares what it looks like, right? That has become my food philosophy in both my real kitchen and fictional kitchen. That, and using gobs and gobs of frosting to hide any mistakes! So what kind of bakers are you, dear Reds? Perfectionists or "as long as it tastes good" ? Me: I head for the nearest bakery on special occasions! I guess I’d fall somewhere between perfectionism and tasting good . . . somehow the really fancy things never seem to come out exactly as I might have pictured them in my mind; fortunately, they tend to taste just fine. 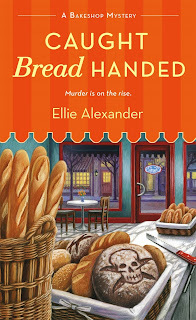 Now I’m definitely adding “Caught Bread Handed” to my teetering to-be-read pile . . . . I'm so glad that you agree on taste over perfection! Good luck with the baking and growing TBR pile! Welcome, Ellie! 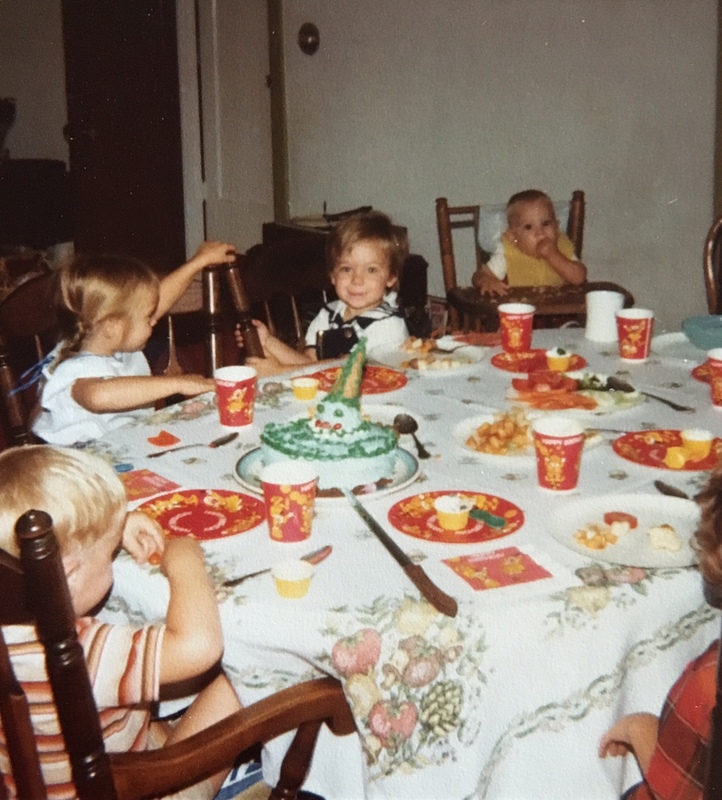 I'm a bit like you with the cakes - I don't care if it's a bit lopsided - and I had great fun with my sons' birthdays when they were younger, making whatever kind of cake they wanted: a bug, a building, a fire engine, a soccer ball, and so on. I don't experiment with cake recipes, and I'm rather famous for my spectacular apple pies. But my bread making (including an active sourdough) is always by feel. I measure the water and then the rest is by feel. Congrats on the new book! I was fortunate to read an early version of the first one to endorse it - and I need to catch up on the series. Thanks Edith! It made my day to have you blurb the first book! I'm with you on the feel. Although that can be a challenge when trying to figure out proportions for the recipes. Cheers! This is so impressive! I am a good cook but I rarely bake so this is really fun to read! Baking keeps you so honest--you cannot fake it or improvise, can you? Either the item bakes properly or it doesn't --but you can always cover it with frosting! Thanks so much for having me on as a guest! Really, frosting makes everything better doesn't it? 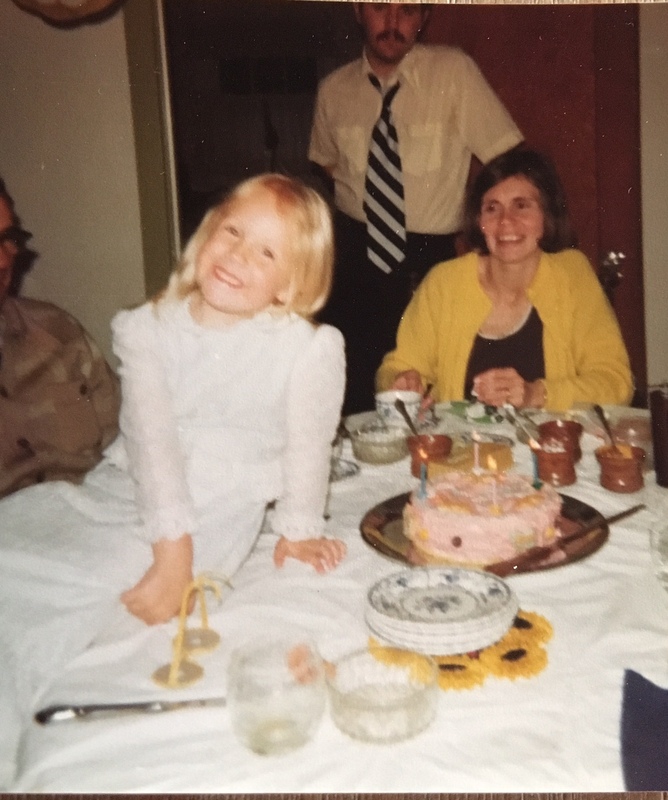 We also had birthday cake fun in my family, both when I was growing up and continuing the tradition with my own three daughters. We were asked what kind of cake we wanted, and we could also choose the dinner menu. So my own girls did the same. When my youngest got interested in cooking, she and I developed a fantastic frosting recipe that is more like the best fudge you ever had, and we saved peppermint candy canes (not the fruity kind, yuck) to crush and add to the recipe. There was always way too much, so the "excess" was poured onto a buttered plate, and we were all in a chocolate coma for days. Now that the girls are grown up and have homes of their own I rarely bake, unless it's a fruit pie (this time of year:: blackberry!). But the youngest still bakes, and she figured out a way to bake cakes in Mason jars to send her ex-husband when he was in Afghanistan. And she just made her fiance's son birthday cupcakes from scratch: chocolate cake, Oreo icing, and tiny Oreo cookies on top as hockey pucks, with hockey sticks made from pretzels. They were fabulous, too. Ellie, such a fun post! Will look for your Torte books. Can we talk more about fudge peppermint frosting? Yum! I love that you created such a wonderful baking tradition with your girls. I am in awe of anyone who can bake (bread, esp) and who cares what it looks like? Taste! That's what matters. And every cook needs a good eater -- my husband devoured my first attempt homemade brownies (more like brownie soup)and I knew he was a keepr. That is the true test of love... devouring soupy brownies. Now you have me dreaming of chocolate soup. Bread is hard! When I've tried, I've made bricks.... I agree with Hank, baking is a science. I always say that baking is a science first and an art second. Yeast can be so tricky! I want to know the fig story . . . I defer cake baking to those in my family who are particularly skilled in that area. When I've baked cakes in the past, I was with you in the "frosting can fix it" school of culinary design. That's one of the reasons I love the British Baking Show on PBS. Frosting (so long as it tastes good) cures so many faults in that competition. Like Hallie, I'm impressed by those who bake their own bread. I make good cornbread, but that's hardly as impressive as someone who can turn out a fine loaf of sourdough or a nice baguette. I do love to make fruit pies. Sometimes they're beautiful, sometimes not. In our house, a fresh-baked pie usually doesn't last long enough for appearance to be a major issue. Let's just say that it involved figs, chocolate, and olive oil. It sounded very Greek and sophisticated on paper but turned out grainy and so gross. Cornbread and pies are favorite in our house too! When I need something to take to an event, I hit up the local bakery, which is divine. If I want something for home, I agree - taste is more important than looks. Although there is something satisfying in a table full of perfectly frosted sugar cookies. I haven't made bread in a while, but I use my bread machine when I do. Yes, yes - cheating. But I can put in all the ingredients, push a button and three hours later - bread! Pie crusts - I follow my grandmother's instructions (ice water and don't over-handle the pastry) and Betty Crocker's measurements. Baking is more of a science than cooking, but I've found there is still some room for artistry. You are very wise to hit up your local bakery. I've been fortunate to connect with a number of pastry chefs (who truly are artists) since writing the series and whenever I have a book event I try to bring pastries and treats from local bakers to share with readers. Also I don't think a bread machine is cheating. You're just using technology to enhance your dough! Hi Ellie - What a terrific post. It took me right back to my childhood because my mother was always baking cakes, tarts and making pies. She did not (and still does not) own a mixer and does everything with a wooden spoon and a hand whisk. Thanks bunches for connecting me to the amazing Jungle Reds! Yes, my mom too! She claimed baking was her form of exercise. That and frosting tasting. XO! Ellie, it's a recipe from an old cookbook that we "fixed", and then added crushed peppermints to. I'm about to leave for a few hours--to see the "Dressing Downton" exhibit! But I'd be happy to share it. Also, I have a foolproof recipe for artisanal bread, no-knead, that takes less than seven hours, start to finish. The only catch is that you need a crock of some kind, plus lid, than can withstand temperatures of 450 degrees. Most lids can't. But this bread is worth buying one that can (I use a KitchenAid dutch oven with silicone handle on the lid). You lucky lady! I love Downton. Have a wonderful time. Chocolate and peppermint are one of my all-time favorite pairings and I'm very intrigued by a crock pot bread! Ellie, I love the photos of your childhood birthday cakes - they remind me of the ones my mother made when my brother and sister and I were kids. My mom was a great homestyle baker. There were always cleverly decorated cakes for holidays, cupcakes to bring to school, delicious pies and loads of cookies. My mom could make the most amazingly shaped cakes with two round tins and one large rectangle. She's not gone, BTW, it's just that she and my dad eat low fat and low sugar these days, co cookies and pies aren't on the menu. However, I just visited them for a few days in Syracuse, and my mom served strawberry shortcake with the best homemade biscuits ever. I wish I had inherited her gift, but I don't have the disposition for good baking. I don't follow recipes as much as make them up out of thin air - great for stir fries and casseroles, not so good for breads and pie crusts. Thanks so much for having me! I agree on the homemade treats. My son is 12 and alas things have changed since my childhood. Everything that he brings to schoo has to be store bought. No more lopsided cakes and gooey cookies for school birthdays and field trips. Sigh. Everyone, I loved the comments about your baking experiences! Welcome to Jungle Reds! I loved ALL of your books! Congrats on the new book! I loved the photos too. Were you the baby in the first photo? Your story about baking with feelings reminded me of the movie Like Water For Chocolate. I remember a cook was crying while baking something. People who ate the food that was cooked/baked by the crying cook started to cry too. My baking experiences go back to childhood. I remember helping my Mom bake cakes. That was fun! My cousins' children also love to bake. One of the children loved Rachael Ray cooking show and she loves to bake. One year for Thanksgiving, the children baked bread for dinner and it was yummy. Thanks so much! I'm thrilled that you are enjoying the series so far, and I LOVED Like Water for Chocolate! I do think that we infuse our feelings into food. Happy reading! Ellie, what a lovely post. Your writing reminded me a little of the late Laurie Colwin, one of my biggest food-writing heroes. My mother made beautiful pies when I was a child. Lemon meringue was her masterpiece. One of these days I'm going to try to recreate it but I don't have high hopes. The only cake I remember her making was German chocolate for my dad's birthdays. I'm a hopeless baker. Well, maybe not quite. I can make a decent pie. But cakes, forget it! I'm sure I was a huge embarrassment to my daughter when she was growing up. I did go through an artisan bread stage in my thirties--all Laurel's Kitchen. Karen, so curious about the bread recipe. I have a clay cooker. I've heard you can make good bread in them. Would that work? Debbie, thanks. You are the best and I couldn't adore Laurie Colwim more! My mother-in-law makes an amazing lemon meringue pie so I've never needed to try my hand at one. I'm going to have to ask her to teach me her tricks! Taste wins over looks! I made a cake once that had a huge depression in the top. I don't know how that happened. I filled the crater with frosting so it would at least look normal. And it tasted just fine, thank you very much. My big brother and I went through a food color stage where we dyed cake mixes and icing clashing colors. Mom let us pick out what kind of birthday cake we wanted. For Dad she automatically baked him his favorite, pecan pie. No cake for him! I baked a pound cake and enclosed a can of frosting for my boyfriend's birthday back in the late sixties. He was in Vietnam. I figured a pound cake would get there in one piece and it did! However it was my second effort I mailed. The first weighed a ton and was a bit compressed for some reason. My family got that one to eat. Oh well. This seems to be a stream of consciousness posting re baking. I will look for your books, Ellie! I can totally picture your rainbow colored cake mixes. So fun! BTW my husband always picks pecan pie for his birthday too. I'm impressed that you shipped pound cake to your boyfriend while he was serving. I bet he was a popular guy when that box arrived. I've been looking for the bread recipe online and can't find it. Lots of similar ones, though, if you Google "no knead artisan bread Dutch oven". Thanks! I'm going to give it a try. Yay, a new culinary cozy for me to check out! I have no idea when I first started baking, but I know that I really got into it when I was living in South Korea as an English teacher. I had the tiniest microwave/portable oven and would use it to bake up simple stuff for my friends and co-workers. Now I'm back in the States and teach at a language school with a constantly rotating student base, so I bake every Friday to say goodbye to my leavers. I'm very much in the taste over appearance crowd. Everything I make is tasty, but not much to look at. My giant Hulk hands can't handle delicacy and precision, so no fancy frosting or decorating for me. The Great British Baking Show is the BEST. I've watched the first season on Netflix at least three times.